As the Diversity Outreach and Engagement Administrator, Mark Manuel connects with residents, service providers and community leaders to build sustainable relationships. Mark is focused on building capacity and pathways towards civic engagement, creating opportunities for cross-cultural interactions. 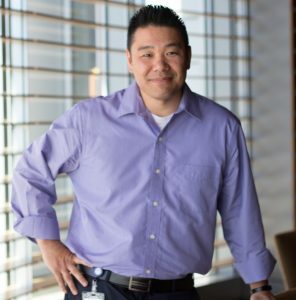 Mark has worked in the non-profit and education sector for almost two decades prior to joining the City of Bellevue. Living oversees in Japan and Guam and participating in long term development projects in Cambodia have helped him appreciate a global perspective. 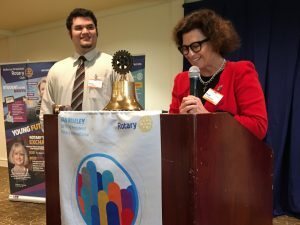 Working locally in communities in South Seattle has influenced the way he views the importance of community development. He recognizes that the complexity of living on the eastside requires both a global and local perspective. He is focused on connecting with residents, service providers and community leaders to build sustainable relationships that help reveal community issues, bring forth collective solutions and opportunities for growth. We kicked off the meeting with President Kaj asking the club about how many will be watching the Royal Wedding on Saturday morning. A few hands went up. He further made the observation that this was a wedding, where an American was marrying into the Royal family and that this would make the ocean between both countries a little smaller in our relationship. Robin Callan then led the invocation and made the observation of how much more diverse our community had become and that we were richer for it, then he led us into the pledge of allegiance. Jeff Cashman noted that it was Robin’s birthday this morning, at which point Robin noted that Jeff’s was on Saturday! The club was led into singing Happy Birthday to them both – and robustly so. Margie Burnett introduced our guests this morning. Larry May then called on our Student of the Month, Casey Kuloloia from Eastside Academy. Elyse Nicholson, the interim Director of Eastside Academy, took the opportunity of introducing Eastside Academy to our members. Eastside Academy is an alternative high school located in Bellevue. Teens come to the school for may unique reasons, but the common thread is that they are not able to thrive in the traditional school environment. Eastside Academy provide these amazing teens with education and comprehensive services that are not found elsewhere in the state. Elyse further went on to introduce us to Casey, who is also the Student of the Year for Eastside Academy. Casey joined Eastside Academy after he sustained injuries as a high-level athlete that made it difficult for him to continue in a large school environment. It was clear that Casey was a leader as soon as he joined the Academy. Other students quickly looked up to him thanks to his positive attitude and compassion for those around him. He also has a brilliant sense of humor, which he balances with a sincerity that is beyond his years. Casey is an industrious individual, both in the school, where he has grown academically, and outside where he holds down jobs to support himself. Yet, it is Casey’s love for his family (who were with him this morning) that is combined with a tremendous respect for them that stands out to those who know him. Casey’s plans for the future will be to pursue a career in real estate and music, which we wish him future success in. 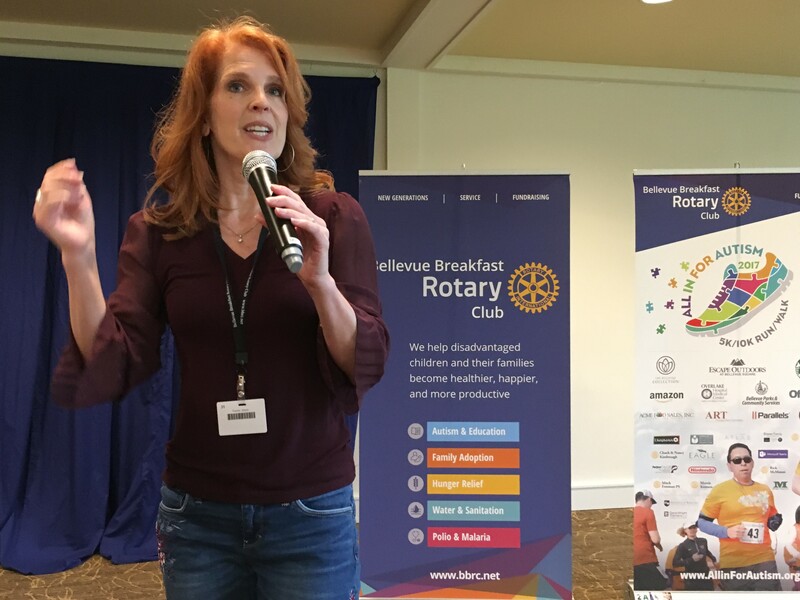 Wendi Fischer then took the opportunity to introduce our members to the role that she has been playing withing District 5030 as the Membership Chair. She also had a little homework for us with a survey that the District Membership committee are undertaking with the district clubs. The quick survey was quickly passed out amongst the members in the audience, so we could respond to questions related to membership engagement and were also asking us for suggestions and inputs for improvement. The good humored banter from the members indicated that we were happy to undertake our homework with the usual BBRC fun-factor! 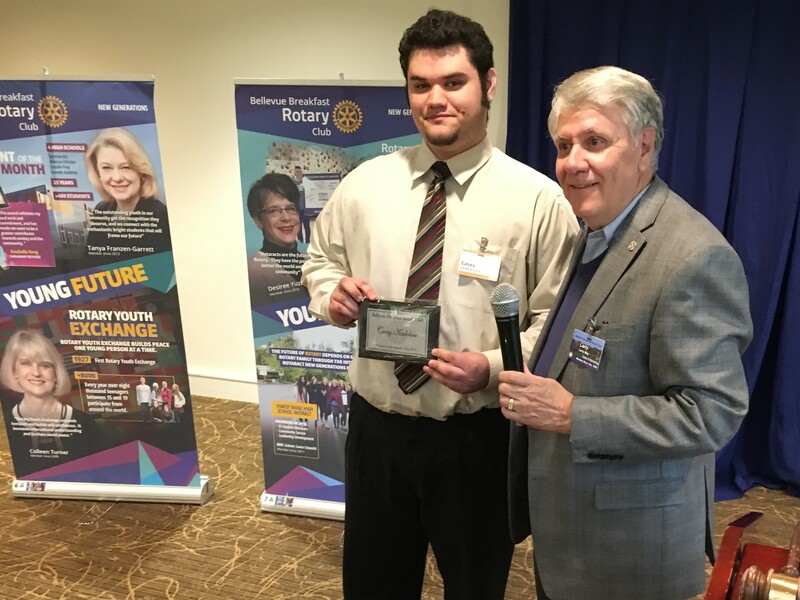 We had the honor of inducting a new member this morning – Richard Martin. Rich was joined by John Martinka as one of his sponsors and Carmela Ramaglia serving as the Membership committee representative. President Kaj introduced Rich to the club and highlighted his volunteerism with Seattle Sounders, the Lamar Neagle Foundation, NuHope Street, America Scores Seattle and the Boys and Girls Club Renton/Skyway. 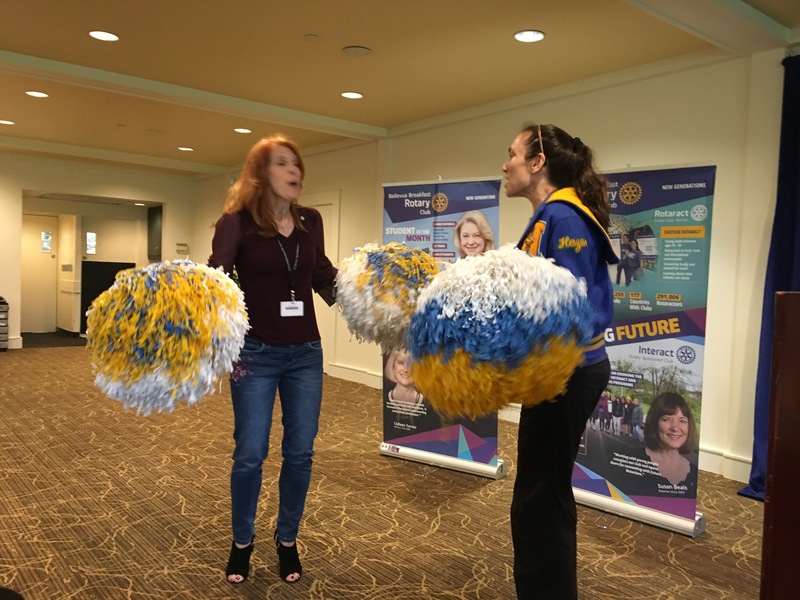 Furthermore, Rich is also involved with the Seattle Executives Association that aligns with our vocational aspirations in Rotary. Rich is also active with pastimes in soccer and golf, so he will fit in well with the club. We look forward to Rich, and his family, becoming active with the BBRC, where is passion for service in the community will very align in our ethos for Service above Self. 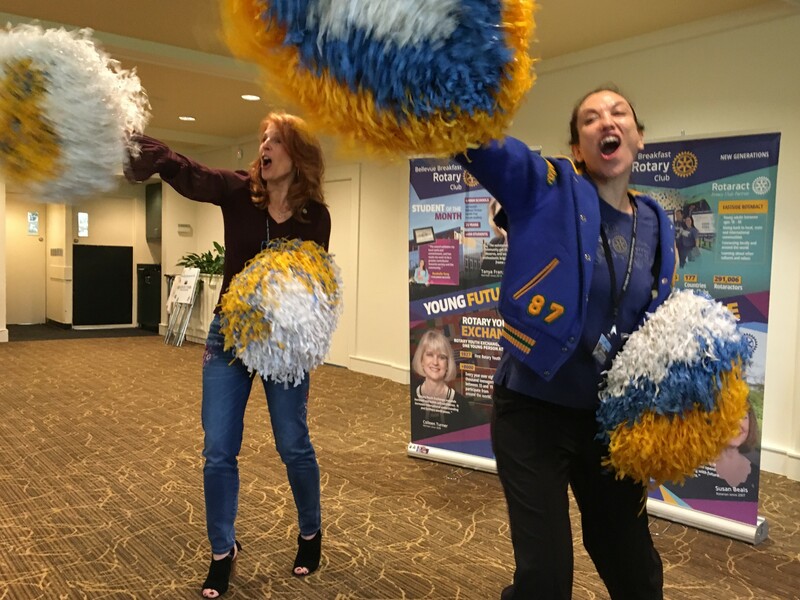 Carmela Ramaglia stayed on the podium, and was joined by Wendi Fischer, to lead us all into a cheer for the upcoming Rotating the Wheels event. Our Highland Fling on 30th June, where we will see the transition of the club leadership to the new President, Chris Boland, and his board for Rotary year 2018-19. The high energy cheer helped reinforce the opportunity for our members to sign up early, so that they could take advantage of the $35 price before it is raised to $50 in June. Registration is available at our Rotating the Wheel registration page. President Kaj Pedersen noted that it is called the Highland Fling, because the club will be flinging him out of the role! Bob Holert was then asked up to present our speaker Mark Manuel, Bellevue City’s Outreach and Engagement Administrator. Mark introduced the club to the changing nature of Bellevue’s demographics and its impact on our city’s many services. 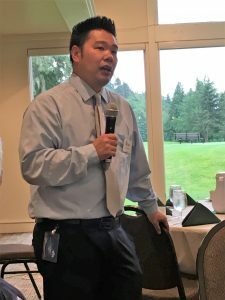 Mark also had our members participate in a survey that helped us comprehend the significant changes that have occurred in Bellevue since 1953 – needless to say that there were a few surprises. The meeting ran long as we had a lot of interest in the topic with questions from the audience about the survey questions and responses. Saturday, June 2nd @ 10am / Issaquah Food & Clothing Bank – approximately 10 – 12 volunteers to do odd jobs (i.e. pack food, sort clothing, etc.) around the IFCB warehouse. 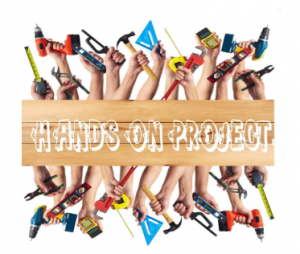 Saturday, June 16th @10am / Tavon Learning Center – approximately 12 – 15 volunteers to do gardening, landscaping and greenhouse work. Tavon has a beautiful wooded campus that requires maintenance. Please follow up with Adam Mihlstin for any questions related to the two events above. Casey Kuloloia is our Student of the Month and Eastside Academy’s Student of the Year. Casey joined Eastside Academy, after he sustained injuries as a high-level athlete that made it difficult for him to continue in a large school environment. It was clear that Casey was a leader as soon as he joined the Academy. Other students quickly looked up to him thanks to his positive attitude and compassion for those around him. He also has a brilliant sense of humor, which he balances with a sincerity that is beyond his years. Casey is an industrious individual, both in the school, where he has grown academically, and outside where he holds down jobs to support himself. Yet, it is Casey’s love for his family (who were with him this morning) that is combined with a tremendous respect for them that stands out to those who know him. Casey’s plans for the future will be to pursue a career in real estate and music, which we wish him future success in. 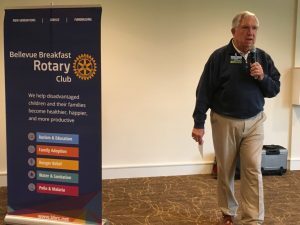 Our Rotarian for May is Dennis Newell for his work in resurrecting and leadership in organizing the Retreat this year. 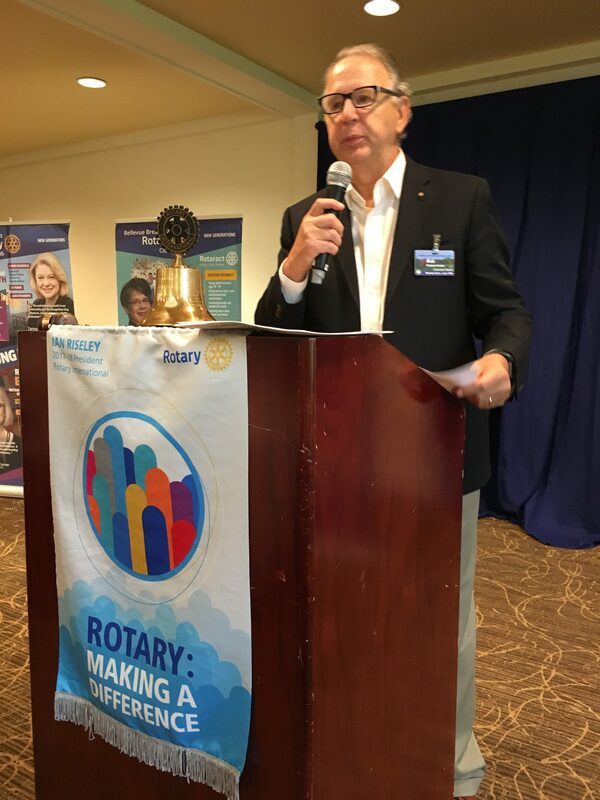 Dennis graciously accepted the recognition and acknowledge that this was for the Rotary team involved with making the event happen. Tanya Franzen-Garrett introduced our Student of the Month, who was Huy Nguyen from Sammamish High School. 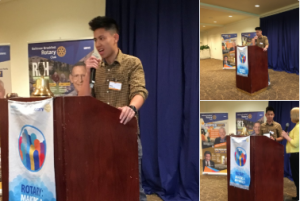 Huy addressed our club, where we learned that his family originated from Vietnam and that he was first member of his family who will be attending UW Bothell to study Computer Science. In terms of service, Huy volunteers his time with World Vision, where he works within their warehouse to pack teacher supplies that are used in the local schools. We wish Huy tremendous success in his ongoing journey. We took the feedback from the Retreat and revamped Third Thursday!! Our monthly Third Thursday Happy Hour Gathering for Friendship, Fellowship and FUN will now begin at 5:30 pm!! 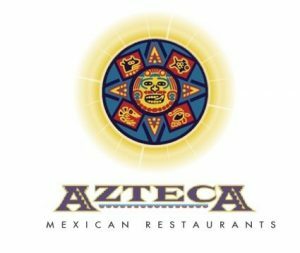 This month we are meeting at the Azteca on 112th – they have good parking – and SNACKS!! Please feel free to bring spouses and guests!! 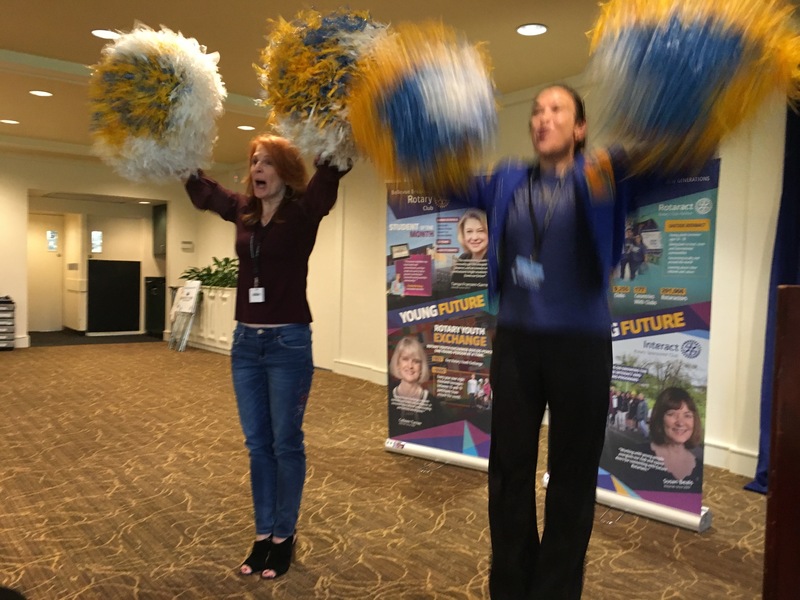 Registration OPEN - Rotating the Wheels! GET DETAILS & REGISTER HERE! !